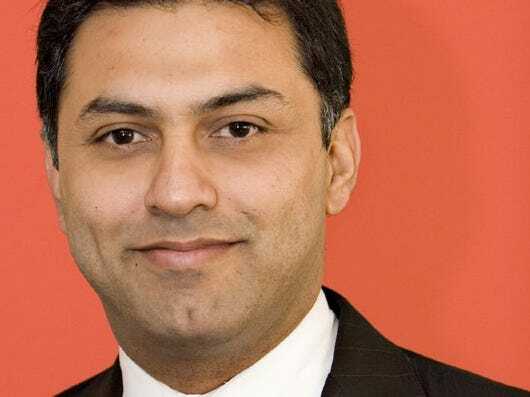 Nikesh Arora, the man in charge of Google’s global ad sales operation, received $26.3 million in compensation last year, according to an SEC filing release today. While the SEC filing shows Nikesh pulling in big bucks, it’s a bit misleading. An accounting rule from the SEC pushed his total compensation to those heights. His cash bonus and salary were $3.7 million. Nikesh became global ad sales boss last April when Omid Kordestani stepped down from the role. Tim Armstrong probably would have been tapped, but he left to run AOL. Also in the filing, we learn CFO Patrick Pichette earned $24.7 million overall, with $2.5 million as a cash bonus, Jonathan Rosenberg, SVP Products and Alan Eustace, SVP Engineering/Research, each received $15 million, each got $2 million as cash bonuses.